This is a basic stamp from Parallax it is a tiny controller which can be programmed very easily from a PC. It has space for kilobytes of program code and dozens of bytes for variables. To program basic stamps there are all kind of boards with little bread boards on them. 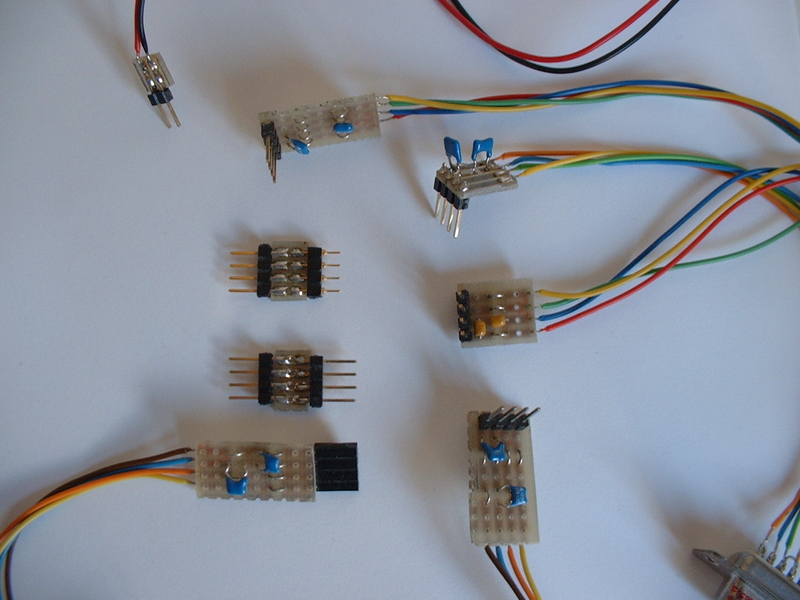 They are all expensive and the breadboard is too small. 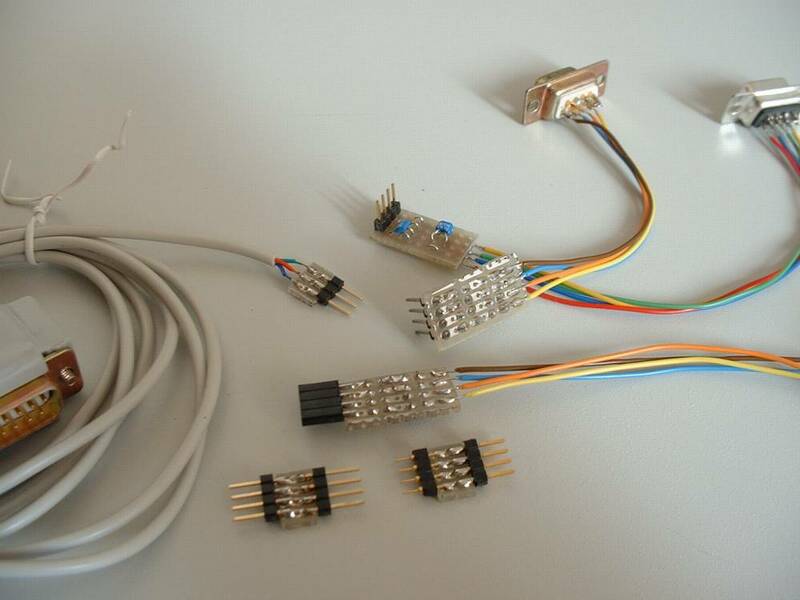 It is easy to make a cable so a basic stamp on a breadboard can be connected to a PC. Here is a picture of the devices I made to program basic stamps. 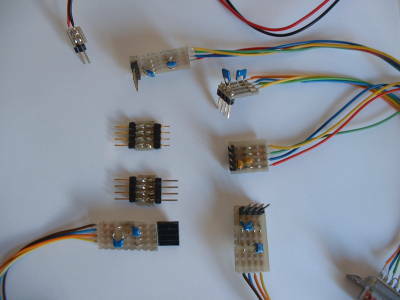 Note that they can be used on a 4 pin header, so a big clumsy D connector isn`t needed anymore on a circuit board. 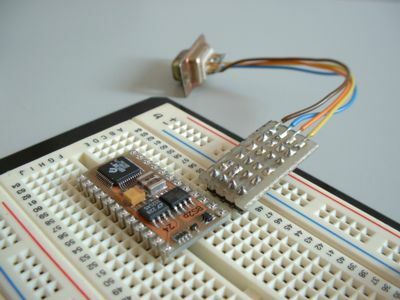 It is easy to damage the pins of expensive basic stamps, so put them in a socket before you put them in a breadboard. Note that the adapter should have a couple of capacitors in the reset line. Find here Here an installation we made to control a bank of DVD players. Find here Here an installation we made to control a DVD player. Find here Here some mockups of settopboxex for the Cebit show. 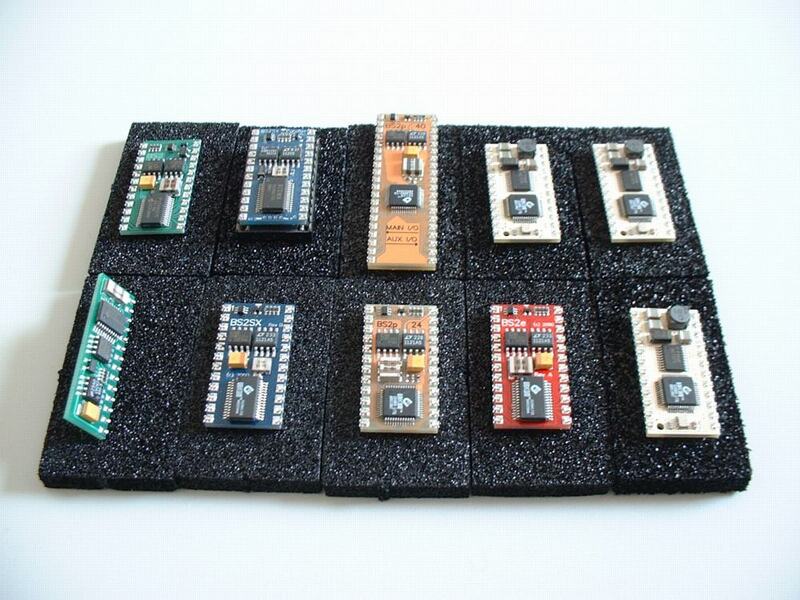 to basic stamp, like graphics screen, GUI, datastorage etc.